This is basically a simple addon that gives you extra blood/gore when you kill people. It's serverside, which means the server needs to have it in order for you to see the blood. Plop the 'GoreMod' folder into your addons folder. 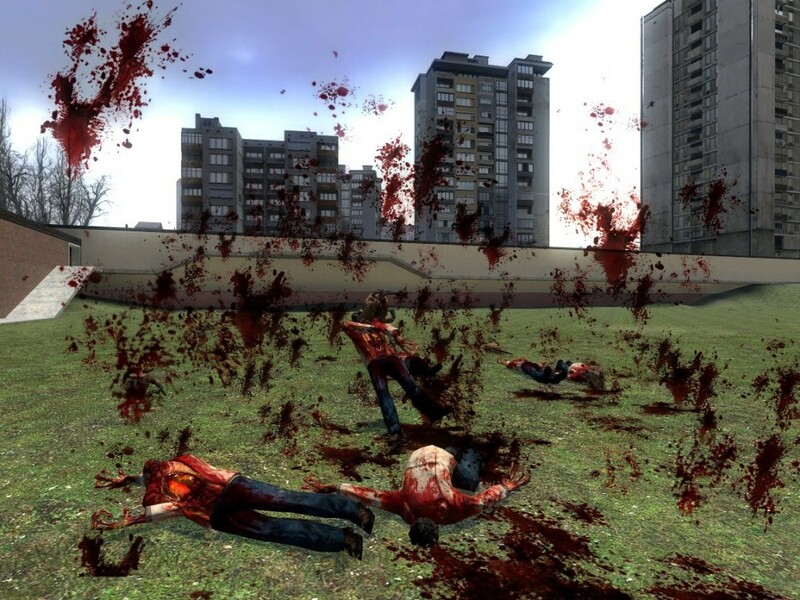 -Crossbow bolts and explosions mess up the gore a bit. It flies really fast if you use crossbows/explosions, and I'm working on a fix. -Non-humanoid NPC's such as Manhacks, Rollermines, and the like shoot out blood. -You can configure the max goremod_bloodlevel in lua/autorun/server. Set the 'gorelimit' to whatever you want. Anyways, remember this is version 1, and there's still bugs that need to be worked out.